Without these tags, Facebook may not display a full link preview for your post. See their policy here: Facebook Sharing Best Practices. 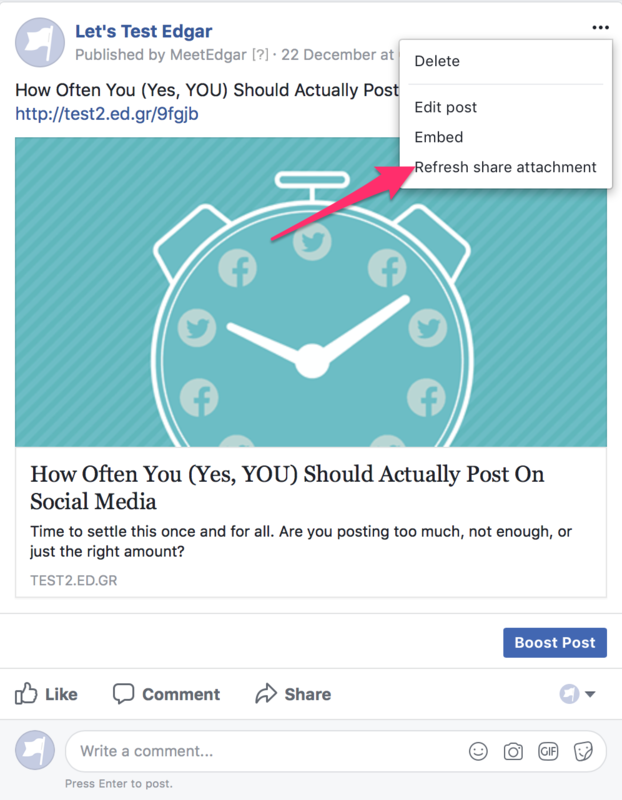 However, if a post publishes to Facebook with a missing image, title, or description, you can force Facebook to rescrape the link and refresh the link preview. 2. Click the ... at the top right of the post and choose Refresh Share Attachment. NOTE: if your page is managed through Facebook Business Manager, you must be logged into business manager to access the refresh share option. NOTE: If you are currently boosting or promoting a post, the refresh share option will not be available. 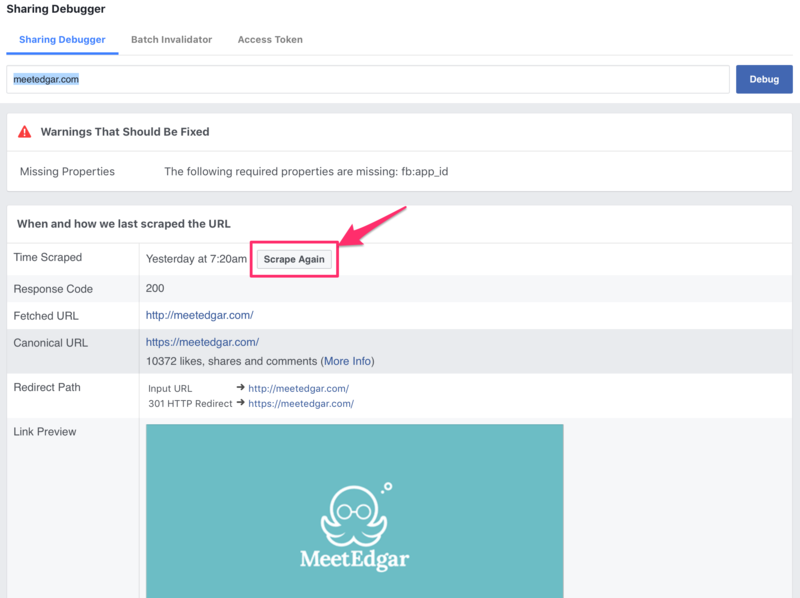 Facebook provides a link debugging tool that will scrape your links and let you know if there is information missing for your previews. You can find the debugger tool here: Facebook Sharing Debugger. Simply enter your link, and Facebook will take a look at it for you. 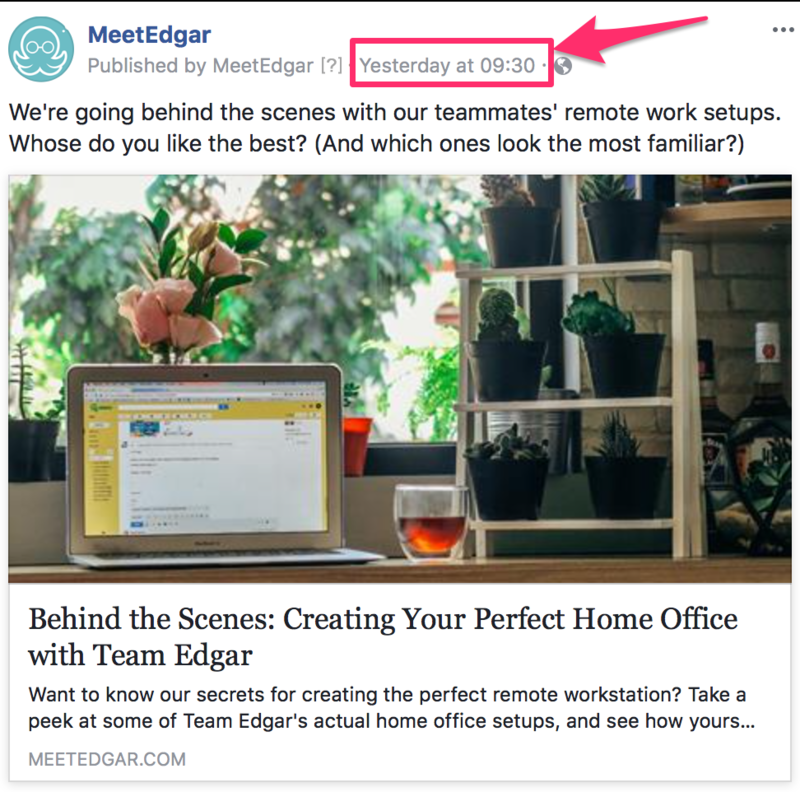 If you make changes to your website or if your preview is out of date, click the Scrape Again button to force Facebook to update its cached version of your link preview. Facebook caches these previews for approximately 30 days to speed up their system.